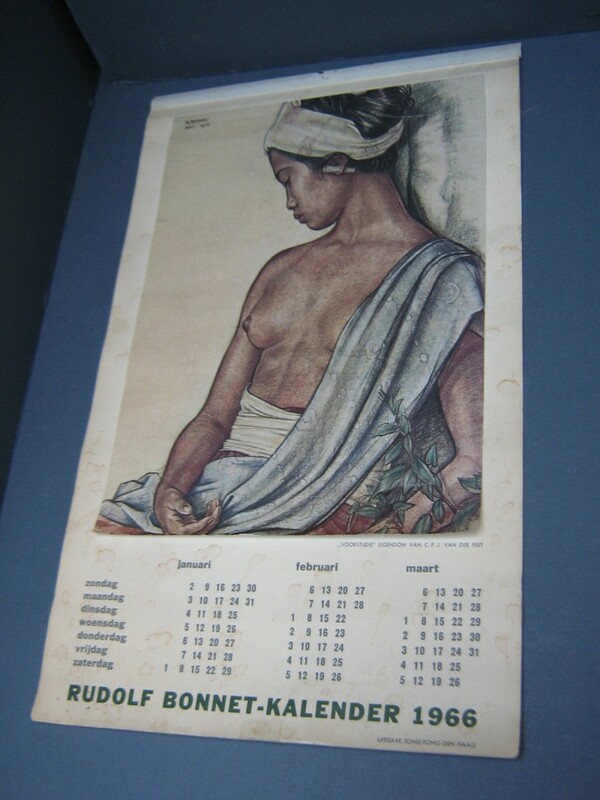 Rare calendar from 1966 with reproductions of 4 pastels from the Dutch master Rudolf Bonnet. Pls click on each photo see a larger image. Published in 1966 by Tong Tong. Extremely rare item. Die hard Bonnet collectors must search for years to get their hands on this calendar. Tong Tong was a cultural foundation in The Hague to preserve the Indie legacy. For this purpose they published a magazine (Tong Tong magazine, now called "Moesson") and organized cultural events like exhibitions and fairs. It was during an exhibition of works by Rudolf Bonnet that an idea was born to create a special Rudolf Bonnet-calendar. It is the only calendar ever published about an Indie-oriented artist. Pls click on the photo to get more info and photos.